Apple does a lot of things right, but iTunes video isn’t one of them. I’ve rarely had a smooth experience with the service, and my recent experience shows they’ve not gotten any better. 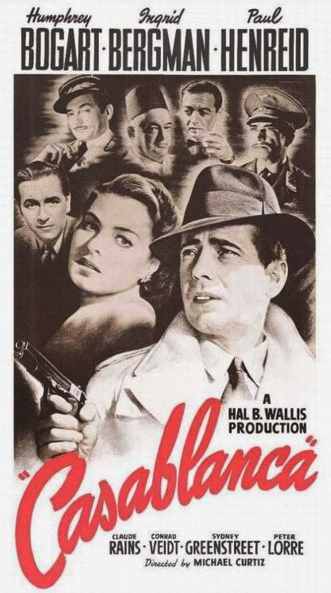 With Hurricane Sandy approaching, I decided to rent Casablanca after my kids noted they hadn’t seen it. So I downloaded it to my laptop, as I’m able to plug that directly into my FIOS router and get a faster connection. All good... until I decided I wanted to watch it on my iPad. I plugged the iPad into the laptop, opened up iTunes and dragged the unwatched movie into the iPad line-up. It showed up on iTunes, but when I unplugged the iPad, the movie did not show up. And that was that. No way to get the movie back. No way to watch it on the iPad other than re-renting it. I get that the iTunes systems works off of a shared WiFi signal and that’s how it transfers files from one device to another. I get that transferring files from one device to another is not a given. But... it should be. Apple's current system is not a very consumer-friendly way to provide on demand video. Moving files from device to device should be seamless. Not only should users be able to port the movie from device to device, but they should be able pick up watching right where they left off. That’s just 101 and it’s amazing that Apple still gets it wrong. Ditto movie rentals: why can't users renew their about-to-expire rentals the way they do a library book? Especially given that the window is only 48 hours. But if they want to take the lead in TV interfaces, they need to rethink the experience they offer.